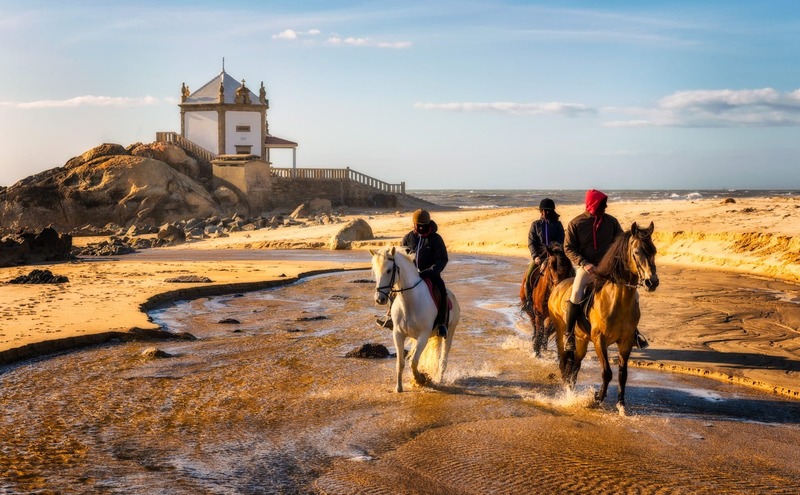 We visited this beach and chapel with friends one sunny winter Sunday (typical weather in Portugal). The tide was low, so we could walk around the “Capela” without even soaking our shoes. We were very lucky this day because when the tide was high, the small church would be surrounded by the Atlantic Ocean waves and so it can be very difficult to enter.